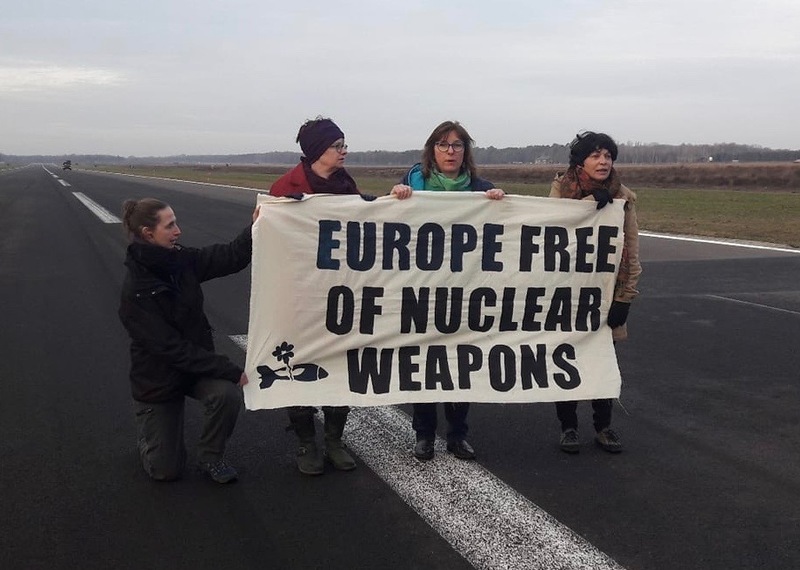 Three Green Party politicians from Luxembourg, England and France were arrested with four Agir pour la Paix activists on February 20 in Belgium after climbing a fence to enter a military base where U.S. nuclear weapons are stored. After entering the Kleine Brogel base, they blocked the runway of F-16 fighter jets. 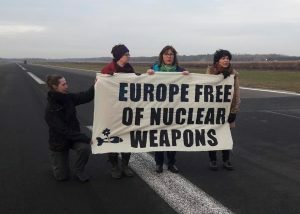 The Members of European Parliament – Molly Scott Cato, Tilly Metz and Michele Rivasi – held a banner which read, “Europe Free of Nuclear Weapons”. 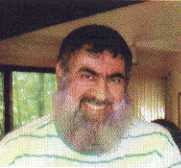 The group was soon detained and taken into custody. Nine supporters standing outside the base were also arrested, and authorities erased photos and videos from their cameras and phones. Within days of his last contact with supporters on January 29, the federal Bureau of Prisons moved Dr. Rafil Dhafir, 70, from the medical center for federal prisoners in Massachusetts, into the Metropolitan Detention Center [MDC] in Brooklyn, New York.